I can’t tell you how excited I am for Angela Peart to be my guest. Like most of you, I was drawn to her gravatar on Twitter and Facebook. Have you ever seen anyone exude so much happiness within a single shot of their face? Yet, I have learned there is much more to Angela Peart than simply meets the eye. She was European born and raised in the country of Poland and now resides near Seattle, Washington while balancing her many responsibilities as a wife, mother and writer of Adult, YA and Children’s literature. She is a hopeless romantic, a self-appointed organic food ambassador and an environmentalist with a passion for watercolor paints. A romantic organic environmentalist? Love that! It can be no surprise that Angela prefers sunshine over rain, loves all types of music from Train to Chopin along with one of my personal favs, jazz musician Jesse Cook landing somewhere in-between. She has an exceptional flair for salsa dancing. Arriba! And on any given day she can be seen wearing her designer heels to the least of appropriate places. Her son’s soccer practice? Okay, we won’t go there. So with the everyday juggling act that Angela has to face, how is it that she is able to keep her focus and what has helped her to achieve her many goals? Well with 2012 just around the corner, Angela is here not only to answer that question, but she is going to share with us her highly motivating formula for success! So without further ado, I am thrilled to introduce to you, Angela Peart! Thanks Karen and hello everyone! As was mentioned, our lives can easily get in the way of our main objectives and achievements. keeping us accountable while successfully achieving our goals. ROW80 Straightened My Twisted Perspective on How To Achieve My Goals. We all have goals. It must be in the human nature to realize what our desires are and to shape them into the quantifiable and time-targeted intentions simply called “a list of goals”. Some of us have a long list, while others might only have a few items on it. Or maybe there is just this one goal that is strategically placed in front of other goals—we consider it most important for our immediate future. Perhaps we have a list of goals that are connected to one another, like stepping stones: the completion of some of them strictly depends on achieving the preceding ones. Our goals are usually formed on a realization that our life is currently lacking something—a better job, a slimmer body, healthier eating habits, a fulfilling hobby, etc. The list might include the goals that have formed simply because we have achieved this one specific goal in the past, but until now we haven’t attached any strings to it. For example, let’s say Susie bought a gift certificate for Amy at a craft store. Amy, who has never been very crafty, went to that store and examined various items without really knowing what she should be looking for. Finally, some fabric caught Amy’s eye and she spent her gift certificate on the fabric along with some thread and needles (per the store clerk’s suggestion). Amy took all her purchases home, but she had no idea what to do with them. Susie brought Amy some quilting magazines to look through, and Amy decided that she loved the way the quilts look. So what happened next? Her goal was to sign up for a quilting class, which she did. But she needed a sewing machine. So her next goal was to save enough money for that purchase. This was Amy’s goal number one, and as you can see, it made it to her list because of the completion of her previous goal (taking the quilting class), which was also on that list because of another preceding goal—spending her gift certificate on something crafty. This example shows us how we end up with some of our goals without even planning them ahead of time. Just like Amy in my example, we might end up with one goal creating the next and then the next and so on. Amazing how these things work. A list of goals might be quite straightforward but the road to completion is often filled with many obstacles. Every now and then we throw our arms up in frustration and quit. Sometimes a goal slowly slips away from our focus and we conveniently “forget” about it. Other times we seriously try to achieve a goal because we know all too well that without completing it we might lose something we don’t want to give up. This is a “working under pressure” scenario that most of us know from experience. I have set up all kinds of goals in the past—some of them I have accomplished, but some I have discarded for various reasons. I’m sure everyone has done their own share of both: great achievements and epic failures. Then last summer I’ve heard for the first time about ROW80. One of my WANA711 buddies Kerry Meacham was participating and posting updates on his blog. I got very interested in learning more and, after doing a bit of a research, I decided to join several of my other WANA711 friends who were signing up in October. 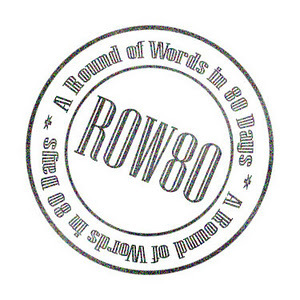 There is a bunch of us participating in the current ROW80 round, which ends on December 22nd. 1. ROW80 is a simple way of structuring and working toward achieving our goals. 2. There is a certain amount of camaraderie and support among the participants. 3. By participating in ROW80 we naturally become a part of a fabulous, compassionate and inspiring writing group. 4. We put our goals (and a pledge to achieve them) on a display, which makes us accountable in the eyes of the other participants (and anyone who reads our updates). In my opinion, this is one of the greatest kinds of motivation. Number 4 is my favorite part of ROW80 because if I am not held responsible for meeting some my goals, I might never achieve them! Everyone who takes part in the ROW80 displays in their blog the official badge that looks like this. There is also a hashtag of #ROW80 on Twitter where the participants not only post links to their updates, but simply socialize, exchange advices and words of encouragement. Sometimes we set a goal that we truly believe we are capable of achieving but, in the process, we might learn otherwise. The reasons behind us not meeting that goal might be completely out of our hands. Carrie Spencer’s post on trying to fulfill her dream to learn how to juggle is a great example of it. Carrie has discovered that she has a problem with depth perception—thus will not be able to ever master the art of juggling. I also would like to share with you some of my ROW80 friends’ goals and methods of reporting their semi-weekly or weekly achievements or failures. Check out Natalie Hartford’s list and her swanky calendar-based reporting. Quite impressive, isn’t it? Gene Lempp is one of the ROW80 Round 4 sponsors. He only has listed three goals, but they are quite substantial. The first one is to participate in the NaNoWriMo by writing fifty thousand words and editing it. By the way, Gene was one of the winners of this year’s NaNo challenge. His other goal was to complete Kristen Lamb’s Blogging for Writers course, which he did. I highly recommend this workshop for every writer who wants to learn how to successfully build his or her online platform. And last but not the least, the brain behind ROW80: the fabulous Kait Nolan! Make sure you visit her Blog and follow her on Twitter. May I encourage you all to keep setting your goals and to consider ROW80 to help you achieve them! So thank you everyone and to Karen for having me here as her guest. After this encouraging post I think we’re all ready to join you over at ROW80! So what do you think? 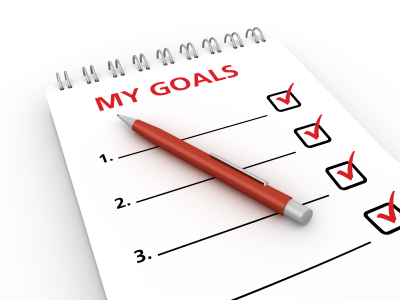 Do you create lists of goals? And if so, how do you stay focused on achieving them? Do you participate in ROW80? If not, would this be something that could help you stay on task? I would love to hear your ideas and stories of success and/or failure. And a big thanks to all my new WANA friends and all others that may grace my presence by visiting this post. Take care and make it a great day! This entry was posted in Blog Post and tagged Angela Peart, Facebook, Karen McFarland, Kristen Lamb, ROW80, Twitter on December 20, 2011 by Karen. Fantastic post, Angela. And great blog, Karen. Dead-on about having mini pieces of goals to get bigger projects done. I missed on some of my ROW80 goals this round, and I love both the accountability push and support. I am an unfair, brutal critic with myself and the community helped me see and celebrate what was working. Love that! I’ll be back in January with tweaked goals. Do glad to hear you will be participating in January too. I think those who are able to be honestly hard on themselves usually reach their goals first 🙂 Good luck with the next round! Fabulous post, Angela!!! You nailed it when you said that accountability is the best part of Row80. It does make ALL the difference. Angela, I’ve been off the grid since my move. Hoping to get back on. I sort of failed with Row80 in 4th quarter but I’m not giving up. 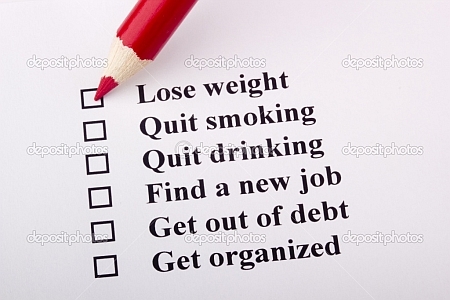 I’m working out a plan for 2012. In January of 2011 a seed of desire to write fiction was planted in my heart. It’s grown little by little and has blossomed into a commitment. I’m a non-fiction writer whose very intimated by the thought of writing fiction but I’m pulling up my big girl writing pants and I’m going to give fiction all I’ve got! I just have to know if I can do it. I just want you to know I think you’re the queen of internet encouragement. Ali, I can’t wait to read more about your road to fiction book publication. Wow, that’s awesome. I write YA and adult fiction and I absolutely love it. ROW80 and The Life List Club have both made a huge difference to my goals and it is very much about the accountability and the shared team effort that they bring to our lives. I simply adore ROW80 and I tell Kait every chance I get. I’m sponsoring the next round because I always think it’s important to give back to ther writers where I can. Jenny Hansen recently posted..ROW80 Update…What A Ride! See You in 2012? Woo hoo! So glad to hear you will be sponsoring Row80 🙂 Looking forward to reading on your new goals. I’m starting to work on my list but it will most likely be very similar to what I already had this last round. Great post! I need to get back on track as soon as the crazy holidays are over. Good luck, Susie. It’s hard to plan anything now with the holidays just around the corner. Not sure if I will get to partake of the ROW80 fun when it begins in January, however, I am getting better at setting realistic goals so I can take things one step at a time to reach whatever my overarching desire is. I appreciate what you mentioned here, Angela and thanks Karen for hosting a blogger I adore following. I wanted to jump on the ROW80 bandwagon this last time but I didn’t have my blog up and running and was afraid to take it on at the same time I attempted Kristen’s course. I think I might be ready to dive in after the holidays. There is nothing I want more than to make progress on my MS. So many things keep jumping in the way lately. Thank you for this post Angela! Thank you for hosting her Karen. Row80 will definitely help you with keeping your WIP going. I know it helped me 🙂 I hope you will decide to participate! What a great post! I really need to hear this today. I’m always thinking of goals, have a list somewhere in my head, but this year I am writing them down. I am going after them:) And I like how you said sometimes we don’t obtain our goal, for certain reasons and that is okay. I needed to hear that too. One of my main goals I had planned to have on the list for next year, I don’t think can happen:( Hmm, maybe I should do a blog post about that! If we don’t set goals, we’ll never accomplish anything in life! Alex J. Cavanaugh recently posted..Movie Reviews! Free books! Ninjas on Holiday! Very true, Alex. Thank you so much for stopping by! Thanks for the shout-out and link, Angela. The encouragement you give everyone on ROW80 and WANA711 is contagious. You ROCK!!! What a great post. It has given me a lot to think about when it comes to goals. I still don’t think I want to do the ROW80 thing because I don’t want to blog about it, but I think that following some people who do will be motivating. Emma Burcart recently posted..Is It Better to Give or to Receive? Great post. I enjoy Angela’s ROW80 updates, because it typically makes me think “OK am I meeting my goals.” I’m making my list for 2012 and I hadn’t thought about adding the ROW80. I plan to work my words and my list. If I fall off that wagon, I will sign up for a future ROW80 round. Thanks ladies. I’m so glad to hear you will be joining us, buddy! Woo hoo – maybe we can convince the rest of our critique group? I’ve heard of ROW80 but never checked it out. Now I definitely want to participate. Thanks, Angela, for explaining about it and thanks, Karen, for the wonderful post! And I love Angela’s photo, too! Thanks for having Angela guest post on your blog, Karen. Angela’s enthusiasm is contagious. She’s always so up beat. The ROW80 does sound like a great way to meet our goals. I have too much planned these next few months, but just might get up the gumption to join one of these days. Reading about other ROW80 participants does make me want to join, too, and I admire the way they meet their goals, or at least make progress in reaching them. Great post, Angela and Karen! I’m definitely on board. Awesome, Debra. Thanks for stopping by. Julie Hedlund recently posted..Contest Results!! Thanks for the inspiration, Angela, and thanks to Karen for hosting! This is my first time participating in ROW80, and I’m definitely signing up again! This round I learned about setting *realistic* goals in light of what else I have going on, although I still have a bit of work in that area. Still, I’m happy with what I accomplished and I’m looking forward to seeing more of my WANA peeps the next round! Jennette, I’m so glad to hear that you will be participating again too! During this round I learned a lot about what my goals should be and how to structure my week to do my best in achieving them. Woot woot – thank you for the fahhhbulous shout out Angela. LOVED your guest post (thanks for hosting her Karen – you get THE BEST guest posters…lol)! I couldn’t agree more with you on the need for each of us to set goals. What I like about the ROW80 has been the encouragement and acceptance of changing your goals mid-stream when life changes. Goals shouldn’t be rigid and never changing but should be a reflection of the priorities of the day and ROW80 does that. Not to mention the FAHHHBULOUS friendships and support system that are built in. I feel sooo blessed to have met and been friended by such amazing writers who support and cheer me on. It’s been world changing for me. So I will definitely see you, and everyone else, in Jan 2012 ROW80 where I plan….to actually WRITE! LOL!! Hi Natalie, I couldn’t imagine the next round without you. Your upbeat attitude is so contagious. You got a valid point — our goals should never be rigid. We must be flexible and be willing to adjust the goals when the situation calls for such measures. Wonderful post, Angela! ROW80 was my first introduction to the online community of writers, and I’m so grateful to have stumbled upon it. The combination of setting goals and having a great group of friends to encourage me on (and help me celebrate!) gave me the courage to pick up the pen and write once more. I highly recommend jumping aboard for the next round. I’ve met some wonderful people, and tackled so much more than I ever thought possible when it comes to writing and blogging. So true, Lena! I too made some fantastic friends through Row80. They kept me going and inspiring me every week. As someone who met Lena right out of the gate in ROW80, I can tell you that both of us have come further in terms of goal setting and ACHIEVING than either of us thought possible. I’m going to tape that quote to my laptop. (It would be too painful to tattoo it on my forehead.) Thanks, Angela and Karen, for an inspiring post. Ha, ha! Maybe an arm would be a better spot for that tattoo! This is great! Perfect for the start of another year. Thanks for sharing–and you’re right Karen, I can’t help but smile when I see Angela’s happy face in her photo!